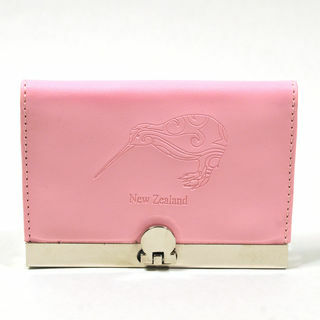 Metal, usually in high polish chrome, business and credit card holders with souvenir (New Zealand) images on the top face. 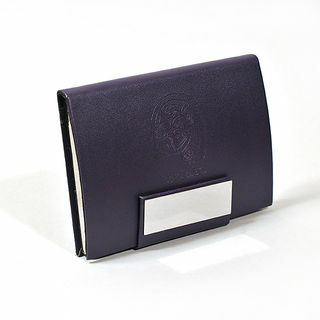 Leatherette business and credit card holder in high polish chrome metal with cover of deep purple and embossed NZ icon along with the words "New Zealand". 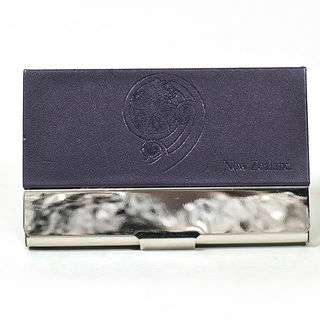 All metal, in high polish chrome, business and credit card holder with an embossed image of a New Zealand fern koru in the deep purple leatherette top face along with the words "New Zealand". 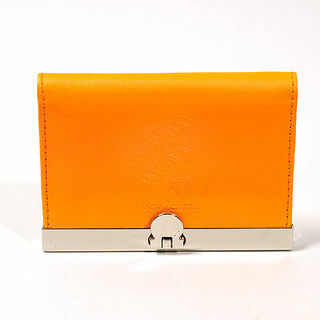 Snap catch closing top in high polish chrome bar. 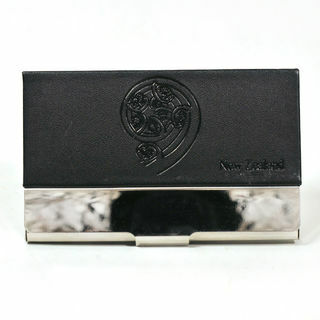 All metal, in high polish chrome, business and credit card holder with an embossed image of a New Zealand fern koru in the black leatherette top face along with the words "New Zealand". 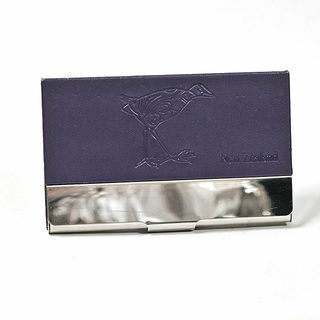 High Polish chrome metal business and credit card holder covered in deep purple leatherette with embossed NZ icon. 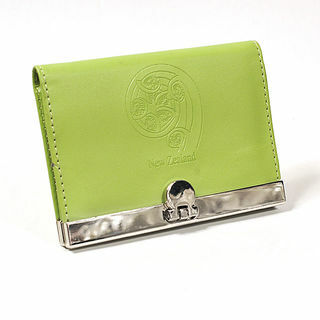 Front face is curved and held shut with a magnetic high polish chrome tipped strap. 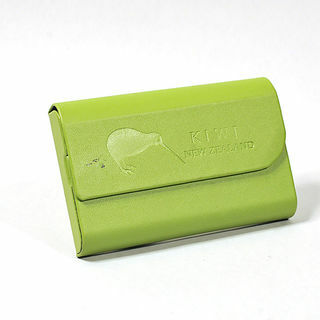 Metal credit and business card holder in embossed (Kiwi image -Kiwi - New Zealand) green leatherette finish. 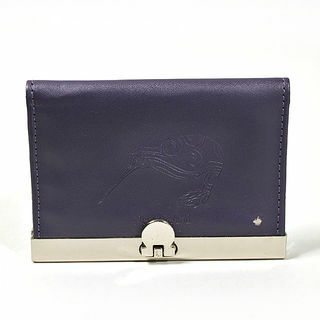 Magnetic flap on front side . 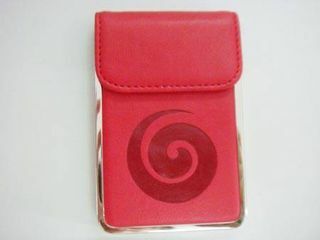 Impressive business card holder with magnetised security flap in metal, finished in red leatherette with chromed surround and featuring an embossed stylised Koru image. 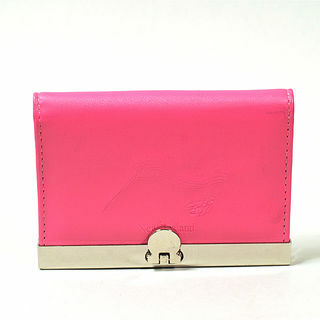 Top opening with attached internal metal frame lifting the cards up for easy access on opening the flap. 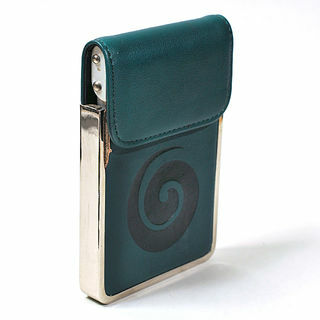 Impressive business card holder with magnetised security flap in metal, finished in forest green leatherette with chrome surround and featuring an embossed stylised Koru image.